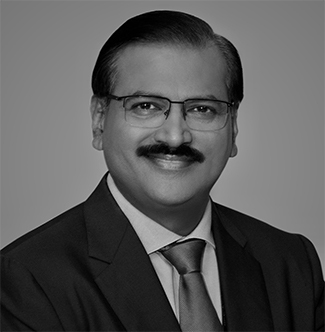 Prof. Dr. Uday Salunkhe heads WeSchool, one of India's leading business schools. He is actively associated with universities and educational authorities at the national and international level to improve the quality of management education. Dr Salunkhe has the distinction of being the recipient of the prestigious Eisenhower Fellowship, USA which identifies, empowers and links leaders across the globe, empowering them further to make the much needed impact. While on fellowship, he looked at issues pertaining to academic leadership development; social innovation and entrepreneurship; future trends in management education; corporate leadership; and models for public and private drivers of social change. His corporate experience in organisations like Mahindra & Mahindra, is a valuable asset in the higher education realm. He currently chairs the Assocham’s National Council on Education. Also drawing upon his expertise, is the CII’s Sub-committee on Education, which he co-chairs, besides being the part of FICCI Higher Education Committee. He is also affiliated with the Advisory Committee on the Skill Development under Ministry of Shipping. Work Experience: Over 35 years of teaching and corporate experience. Prof. Dr. Uday Salunkhe has been successfully guiding PhD students. He has authored several research papers/ articles in national & international publications. He has published a book on ‘Productivity Techniques’ and co-authored the section titled ‘Design Management in India’ in the ‘Handbook of Design Management’, published by Berg Publishers, UK. • ‘Impact of including Design Thinking competencies in management education’ - an experimental study, co-authored - DMI International Research Conference, August, 2012. • ‘Design Inspired Innovation for Rural India’, co-authored - Impacting Society through Engineering Design – Journal of ICED11 conference proceedings, volume II, paper number 261, Denmark Technical University, 2011. • ‘Pedagogical changes and challenges for the future growth of decision’ sciences, co-authored - Ninth International Conference on Operations & Quantitative Management, Los Angeles, June, 2009. • ‘Unravelling The Mystical Indian Organisation Culture’, co-authored – Cues for Globalisation, 4th International Conference on Inter-Cultural Competence, Mexico, 2007. • ‘A Framework to explore the Grassroots’ (Rural India by Design Innovation Thinking), co-authored – TISS Conference, Innovation Forum 2012. • India’s Competitive Edge – A Study of the ‘Role of Corporate Social Responsibility’, co-authored - Selected for International Conference on Emerging Competitiveness Paradigms by PES Institute of Management, Bangalore and Indiana University of Pennsylvania & the International Society for Competitiveness, 2007. •	Awarded the "Grand Davos Award" at the World Communication Forum, Davos, for tremendous contribution and lifelong dedication in the field of business communication in India and the region. •	Recipient of the prestigious Eisenhower Fellowship, USA, which acknowledges and honours the contribution of thought leaders across the globe, to their respective domains, bringing them together, for a greater impact. • Awarded MIEDA award for excellence in education field by Maharashtra Industrial and Economic Development Association (MIEDA). • Ravi J. Matthai National Fellow Award awarded by the Association of Indian Management Schools for exemplary contribution to India Inc. and society at large, in the fields of applied management and education. • Conferred the ‘Best Education Entrepreneur of the year’ award by ASSOCHAM. •	Prof. Dharni Sinha Memorial Award conferred for Excellence in Management Education. •	Introduced WeSchool’s pioneering courses in Business Design, E-business, Retail Management, Healthcare Management, Rural Management (Emerging Economies) and verticals in Commodities Market.